For accurate and quick cutting of baseboards and crown molding, the 12" compound miter saw is the ideal tool for the job. The machine features an adjustable miter detent plate with 11 positive stops, a sliding fence to support crown molding up to 5 1/4" nested and base molding up to 6 1/2" vertically, and a left bevel from 0-48 degrees. 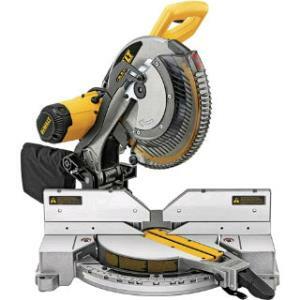 * Please call us for any questions on our miter saw 12 inch compound rentals in Hillsdale and Ridgewood NJ.